Don't want to pay by credit card? Your can now submit your purchase order by checking out online and selecting payment method "PURCHASE ORDER" or Email or Fax your Purchase Order to Sales@CosmolineDirect.com or Fax: (866) 607-5965. If you don't already have an account with Cosmoline Direct, LLC or are unsure if you do, just send us your PO or email Sales@CosmolineDirect.com or Contact Us and a Representative will follow up with you promptly if needed. If you'd like to apply for an account, simply fax or email us your trade references and your first PO and we can usually get you set up and ship out your order the same day. Credit Card - Visa, MasterCard, Discover and American Express. Due to the hazardous classification codes and cost considerations, most orders are shipped via UPS Ground, unless other accommodations have been requested and granted. 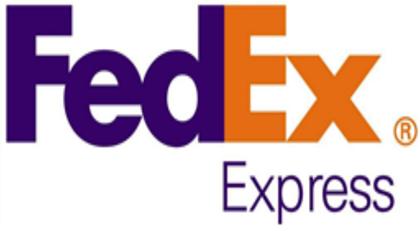 We now also offer EXPRSS DELIVERY via FedEx (AIR) - Next-Day, 2-Day, etc. For more information about our EXPRESS Delivery service options, please visit Our Express Delivery Request Page and complete the form. For bulk orders, Cosmoline Direct will secure freight accommodations from a list of preferred vendors or customers can make their own pick-up arrangements. All Canadian orders will ship via UPS Standard. We now deliver to Alaska and Hawaii (via FedEx AIR). Fill out our Express Delivery Request Form and we'll provide you with a number of delivery options and a cost for each. Cosmoline Direct, LLC stocks product in the following states: California, Utah, Texas, Pennsylvania, Louisiana and Michigan. Orders are fulfilled from the nearest stocking location, reducing shipping cost and time for you, our valued customer. Cosmoline Direct, LLC does not offer will-call service at this time. Cosmoline Direct, LLC has extended its Distribution footprint to our Neighbors of the North and South. Customers in Canada and Mexico can now purchase our products online through the normal secure Checkout process offered on this website (www.CosmolineDirect.com). All orders to Canada & Mexico will ship via UPS Standard. Most orders ship within 1 business day, unless otherwise noted. Customers can also send us a Purchase Order via Fax (866) 607-5965 or Email: Sales@CosmolineDirect.com. Payment must be made via credit card unless a termed account has been established with Cosmoline Direct. Customers in Canada and Mexico are responsible for paying all duties and taxes and are required to acknowledge this at checkout or on the POs they send. Cosmoline Direct can also use a customer's verified UPS account if supplied (along with corresponding billing postal code) and charge the shipping and associated costs to that account. For any questions regarding our distribution service to Canada, please CONTACT US. Cosmoline Direct accepts returned merchandise if container/product is unopened and in “factory new” condition. Returns are accepted only within 30 days of purchase. Returned items are subject to a 35% restocking fee. If you have any return policy related questions or requests, please don’t hesitate to Contact Us. Shipping charges are non-refundable. Shopping online at CosmolineDirect.com is absolutely secure -- you never have to worry about credit-card safety when you are shopping on our website. We use the latest encryption technology to keep your personal information safe. All your ordering information -- including your name, address, and credit card number -- is encrypted using a secure server for maximum security. All transactions are processed using a technology called Secure Sockets Layer (SSL). SSL technology is the industry standard method for protecting web communications. The SSL security protocol provides data encryption, server authentication, message integrity, and optional client authentication for a TCP/IP connection. All information transmitted to CosmolineDirect.com is encrypted and sent using this technology.